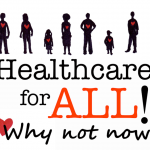 WV-CAG and other social justice organizations have joined our friends at WV FREE in a new Health Not Politics campaign to defeat a proposed ban on Medicaid coverage for abortions for low-income women in West Virginia. At the campaign launch, WV FREE released new polling data showing that West Virginians don’t believe that politicians should be focused on creating new laws that take away health coverage for women. Unfortunately, the day after the launch the House Health Committee passed HB 4012, which bans Medicaid insurance coverage for abortion. HB 4012 is now before the House Judiciary Committee, which will hold a public hearing on the bill Monday, February 5 at 8:30AM in the House Chamber. When a woman in West Virginia is enrolled in the state’s Medicaid health insurance program, all of her reproductive health services should be covered including annual check-ups, prenatal and maternity care, family planning services including birth control, and abortion. 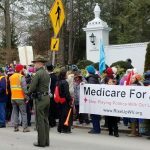 HB 4012 aims to take away abortion coverage under Medicaid and we must stop it! Please join us for the public hearing if you can. There will also be a pop-up action at noon at the State Capitol. Can’t make it? 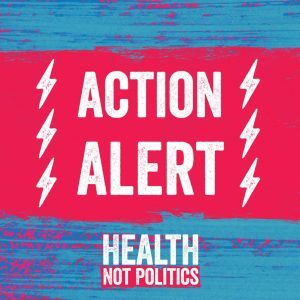 Please contact House Judiciary Committee members and tell them they shouldn’t be playing politics with women’s health care. 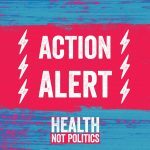 Click here to learn more about the Health Not Politics campaign and what’s at stake with HB 4012 and a proposed constitutional amendment that would take Medicaid coverage away from West Virginia’s most vulnerable people seeking abortion care.